A PEACE of Serenity | Mommy, I Feel Funny! If you are interested in contributing a piece of your own work to the Awakened Voices™ project, please fill out our submission form. 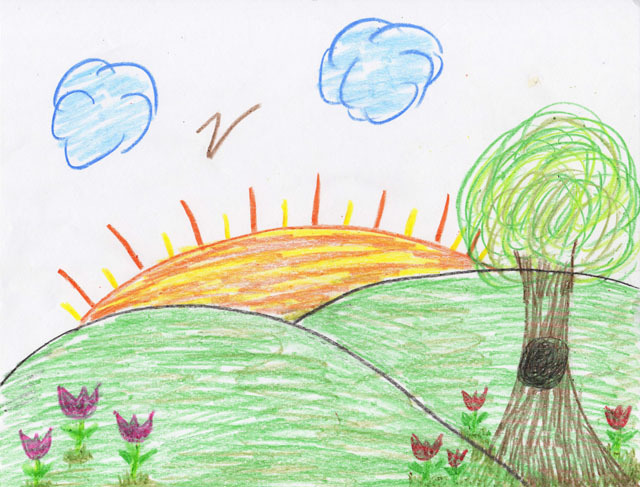 Your artwork looks like my own did at that age, right down to the hole in the tree and the distant hills with the sun setting in the background. Symmetry is everything!